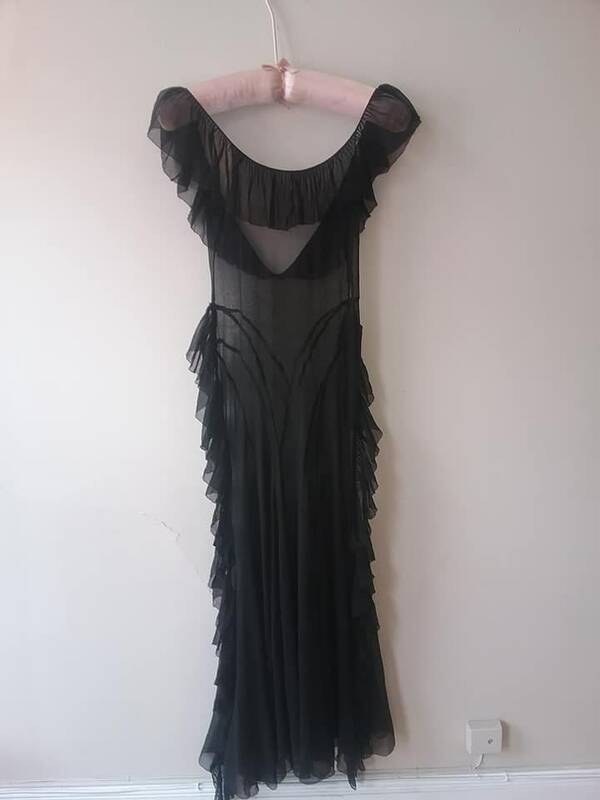 1930's,36" bust, black bias cut " fish tail ", chiffon gown. 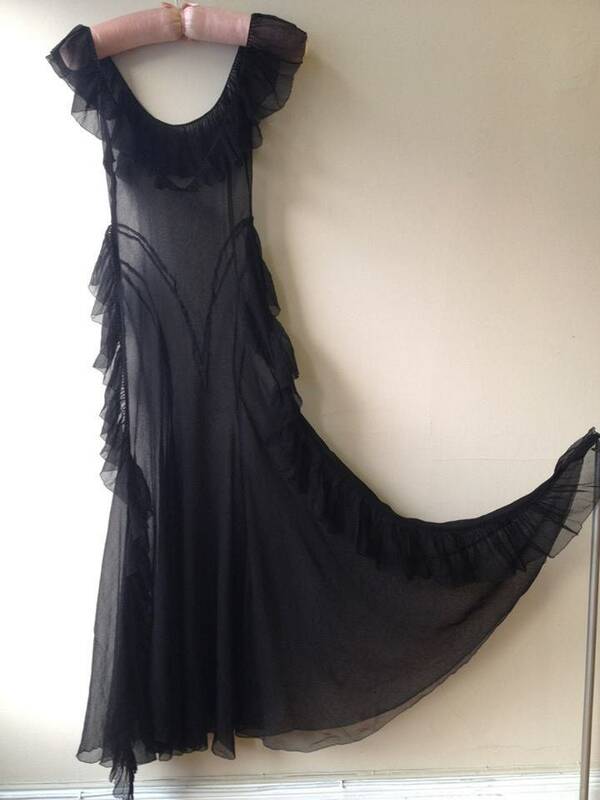 Gown has ruffle along shoulders and down sides. 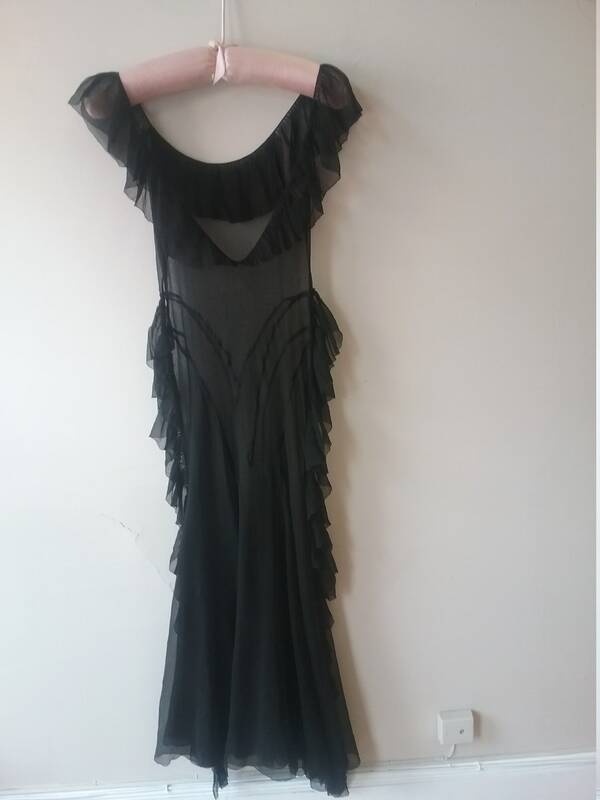 Neckline is low in front and plunges in back. Shoulder ruffle 4" wide Shoulder to hem 52" width at bottom 104"